Camp Nou is a football stadium and home of FC Barcelona. 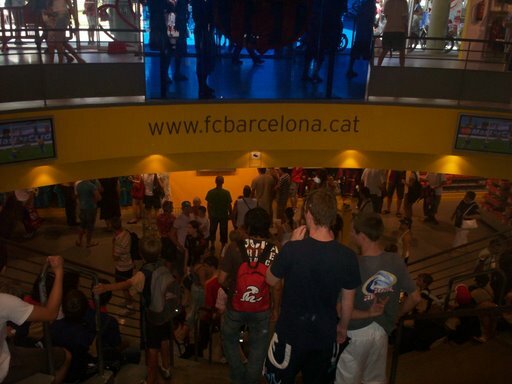 Camp Nou is a football stadium and home of FC Barcelona. The stadium is the largest in Spain with a capacity of allmost 100.000 people. It was built in 1954–1957. A general ticket cost €23. Youth (from 6 to 13 years) and seniors (70+) pay €18. With an online ticket you can skip the lines. 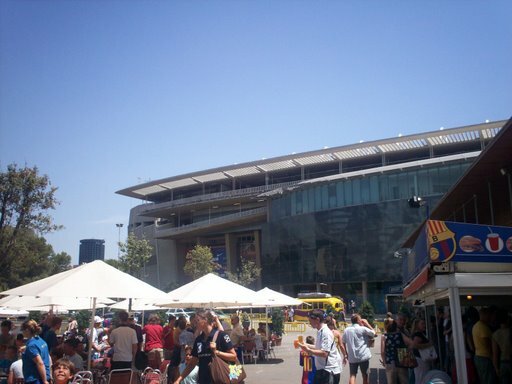 Camp Nou is 5 km from the city center. Football ticket are sold online or in the ticket office. Ticket prices depends of the strenght of the opponent and where you want to seat. The zones behind the goals have the cheapest tickets. To get an idea of the prices. The international game against Sampdoria. Tickets for this match cost €39-€200 if you have a seat in Gol Nord or Gol Sud (behind the goals). A seat on the tribune cost €51-€499. Tickets for the football game of FC Barcelona against FC Sevilla cost between €47-€610.